Printing documents from an Android smartphone or tablet hasn’t always had the best user experience. Google Cloud Print was introduced back in 2013 and it has helped alleviate the issue with devices that have chosen to support it. Android 4.4 KitKat brought some APIs which were referred to as the Android Print Framework, and that helped the Mopria Alliance to come up with an application to help solve the printer compatibility issue. Their application, the Mopria Print Service, has just received an update to version 2.5 and with it comes support for multi-hole punch, bug fixes, and more. 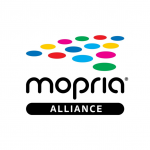 The Mopria Alliance was founded back in September 2013 by four members of the world’s largest printer manufacturers. This includes Canon, HP, Samsung, and Xerox. The alliance is a non-profit organization with the goal of providing simple wireless printing from smartphones, tablets and other mobile devices. Since its inception, they have brought 20 different companies into the mix including the likes of Adobe, Brother, NEC, Toshiba, Sharp, Epson, and many more. Feature difference between Android Oreo‘s Default Print Service and the Mopria app. Source: Mopria. The Mopria Print Service application has just received a big update that brings it up to version 2.5. The update brings some new features and enhancements to older features. Support for multi-hole punch is likely the headlining addition with this update but it also includes the ability to select more than one Finishing option. Along with the bug fixes that were mentioned earlier, this latest update also adds automatic caching of printer defaults for both Duplex and Media Size options.